Our advanced local strategies help you target your ideal audience. Now that you’ve found us, let us help the world find you. There are millions of web searches conducted each day. But there are also billions of businesses vying for online attention – each trying to capture those top rankings that provide the best chance at a conversion. How do you ensure your business makes the cut? Silverback Strategies has the answer. Silverback Strategies is an elite Google-, Yahoo- and Bing-Certified DC Digital Marketing agency that uses sophisticated strategies to build highly successful online campaigns for our clients – with proven and measurable results. For businesses in the Mid-Atlantic and around the world, we provide expertise, guidance and campaign execution services that ensure you get maximum returns on your search investment. The fact is, succeeding with Google, Yahoo and Bing search platforms takes in-depth expertise, up-to-the minute technical knowledge and continual monitoring and management. We know these platforms inside and out, and we’ll make sure you’re not wasting a cent on ineffective programs. 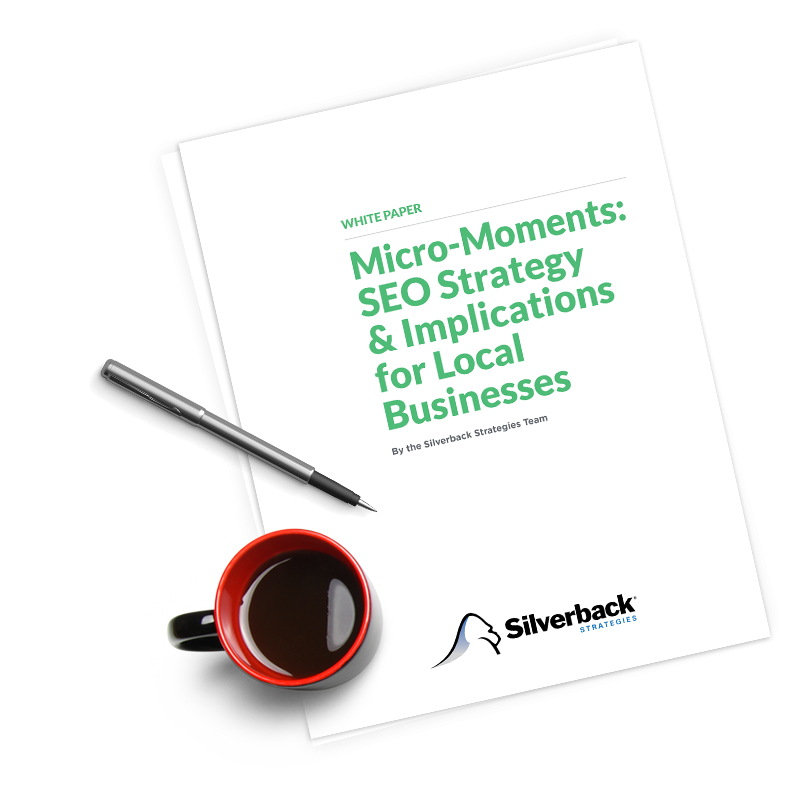 Silverback Strategies creates targeted campaigns based on a thorough analysis of your business, competitive space and your industry. Each campaign can be laser-focused around DC/MD/Virginia or reach everywhere your business does. Either way, we assure your advertising campaigns achieve the most lucrative and effective ad placements available to reach the best audience possible. With Silverback Strategies, you can be sure all your online assets are capitalizing on the millions of Internet searches performed daily. We’ll take care of your entire strategy, from pay-per-click marketing setup and management services to website development and search engine optimization. Silverback Strategies offers a wide range of surprisingly affordable services tailored to your business needs and budget – all backed by our unique guarantee programs. No DC Digital Marketing agency works harder to get you the audience, traffic and results you need from your online advertising and search programs. And any of our clients will tell you, no DC Digital Marketing agency offers the responsive, personal service for which we’re well known. We’ll get to know you and your business, we’ll be here when you have questions, and we keep the lines of communication open at all times, because that’s how we get things right the first time. Call us to get started now with a free proposal and analysis package, and higher rankings are right around the corner.